the Chief of Staff at Piedmont Medical Center in Rock Hill for 2007.
with Tri County Oncology since 2002. He is an active member of the South Carolina Oncology Society. Dr. Patel has been awarded several national awards from ASCO for his research in melanoma. He has authored several research articles and has presented at numerous national and international meetings. He also has been a member of the CME committee of SCMA and NCAPI. He is also the past presdient of GCAPI and the Charlotte chapter of AAPI. 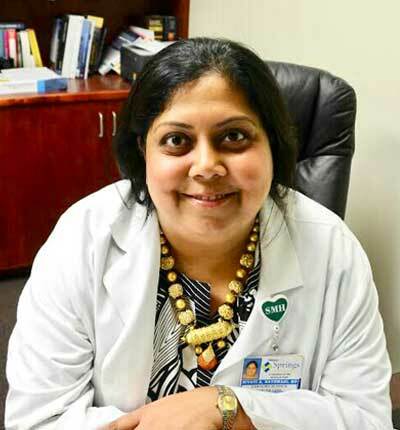 Dr. Gor is board certified in Hematology, Oncology, and Internal Medicine. He completed his residency at Jamaica Hospital in New York City and his fellowship in Hematology and Medical Oncology at Long Island Jewish Medical Center in New York City. He has been with Carolina Blood and Cancer Care since 2004. He is an active member of the South Carolina Oncology Society. He has numerous presentations and publications to his credit. He is also a member of the CME committee of SCMA this year. at the University of Southern California / Los Angeles Country Medical Center in Los Angeles, California in June 2007. She has been with Carolina Blood and Cancer Care since August 2007.